What follows are examples of the local authority housing management consulting services that we offer. The Housing Revenue Account is often considered to be one of the most complex of a council’s accounts; and the introduction of self-financing in England in April 2012 created new challenges and opportunities. Our management consultants are able to offer specialist advice. Ashfield District Council on Business Planning and Accounting. Denbighshire County Council on Business Planning, Self-Financing, Service Charges and New Build. Hartlepool Borough Council on setting Rents. Mid Suffolk and Babergh District Councils on Service Charges. Oldham Borough Council on Business Planning, Health Check of the Housing Revenue Account and Service Charges. Slough Borough Council on business planning. Wrexham Borough Council on Service Charges. In the current climate of economic constraint there is a continuing need for a focus on value for money. We believe that value for money is most likely to be achieved where there is a focus on the needs and aspirations of customers and a rigorous review of systems and costs. Our experience in strategic management, management consulting, housing finance and residents’ advice makes us well placed to consider value for money. We have recently provided training on the establishment of local housing companies to a London Borough Council and have prepared an options appraisal for a potential local housing company for a district council in Southwest England. Financial modelling is essential especially where new developments or initiatives are being considered. Our consultants possess both the financial and information technology skills to prepare effective financial models. For example, we have prepared many financial models for business plans; the calculation of rents and service charges; and for modelling development schemes. The calculation and management of service charges for leaseholders and tenants can be complex. We have assisted many local authprities with leasehold and tenanted service charges that have resulted in service charges being established on a firmer footing and increased service charges being collected. 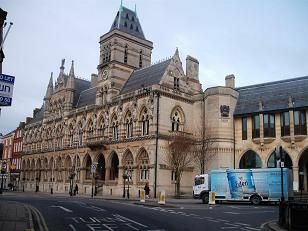 Recent clients include: Denbighshire County Council, Northampton Borough Council, Mid Suffolk and Babergh District Councils and Oldham Borough Council. We also advised Teresa Peace MP (now Shadow Housing Minister) on issues connected with service charges on the Thamesmead estate in her constituency. Local authorities usually seek external advice from a management consultant when they carry out a housing stock options appraisal. We are well placed to deliver housing stock options appraisals because of our experience in both housing finance and independent residents’ advice. We carry out housing stock options appraisals from an independent and objective viewpoint – helping local authorities and their residents to identify the best option for achieving their aspirations locally. We have assisted many of our clients, for example Basildon Borough Council and Denbighshire County Council, in the introduction of Self-Financing. Moving forward there is a need to ensure that effective business planning is in place. Effective business planning involves both a rigorous analysis of the business position of the local authority and the production of a long-term financial projection including risk analysis and sensitivity testing. Our experience of strategic management and of housing finance makes us uniquely well placed to deliver this. It is essential that housing managers, councillors and tenant representatives have a working knowledge of how local authority housing finance works. As well as our regional seminars and in-house courses delivered by an experienced management consultant we are able to evaluate your training needs and design a training programme to suit your needs. 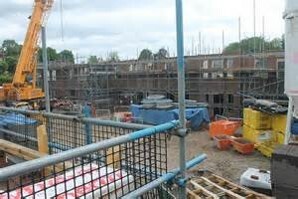 New Council Houses being built at Ashfield in Nottinghamshire. AWICS has advised the Council on business planning and accounting.